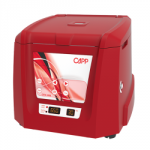 CappRondo clinical centrifuge is a powerful blood separation centrifuge, providing 6500 rpm, corresponding to the centrifugation force of 3.873g. 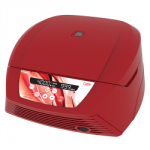 CappRondo microcentrifuge is much more than a standard basic micro centrifuge available on the market. 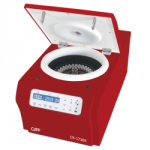 CappRondo mini centrifuge is a modern, easy-to-use and high performance minicentrifuge equipped with maintenance free drive. 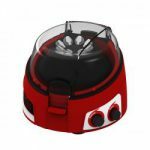 Molecular and cellular applications, such as ethanol precipitation, phenol extraction, NA preparation, cell collection or spin-down of temperature sensitive reaction mixtures, can all be comfortably conducted on CappRondo refrigerated centrifuge. 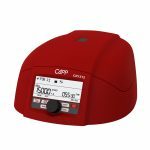 CappRondo clinical centrifuge has 3 optional rotors: two fixed angle rotors for 8x15mL or 16x10mL tubes and a swing-out rotor with the capacity of 6x10mL tubes.